Now you can sound evil. This free voice add-on gives morphvox voice changer, seven new sinister fantasy voices including: lich, wraith, goblin, or cave troll. 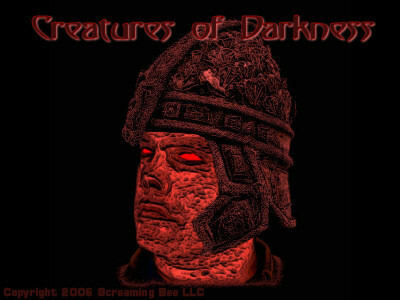 From the makers of morphvox voice changing software, creatures of darkness is meant to enhance role-play in online games. Whether you like to role-play on the dark side or just like to sound scary, this voice pack will modify your voice in amazing ways. The add-on contains the following voices: cave troll, goblin, golem, half-orc, lich lord, shade, wraith. Note: this add-on requires the full version of morphvox voice change software 2.8.1 or above. 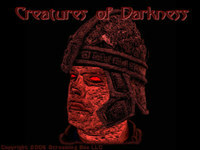 Creatures Of Darkness - MorphVOX Add-on is a communications program that works under windows xp, windows vista, . It is Free so you can download it and share it with your friends. Estimated download time for Creatures Of Darkness - MorphVOX Add-on on a common adsl connection is less than a minute. Version 3.3.1 was released two thousand five hundred fifty eight days ago by Screaming Bee Inc. Click the green download button to download it now.